Serve up some style with this round tray from American Atelier. 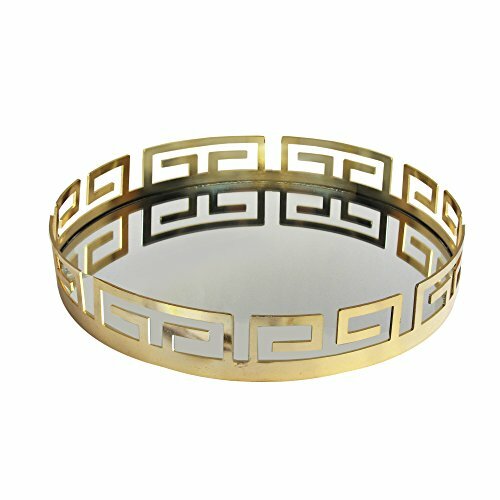 A round and durable construction completes the contemporary design of this mirror tray. Crafted with a mirror base, this decorative tray is sure to bring an elegant look to any room's decor. If you have any questions about this product by American Atelier, contact us by completing and submitting the form below. If you are looking for a specif part number, please include it with your message. Eco Life - Rectangle Wood Serving Tray with Handles and Hollowed-out Sakura, For Your Ottoman - Brown - 16.5" x 11"